It has been a very interesting week to watch the reactions of many Eritreans in social media as the Ethiopian statements about the Ethio-Eritrean border ruling kept changing. First, Ethiopia's new Prime Minister Abiy Ahmed made a surprise announcement stating his country will attempt to make peace with Eritrea by fully accepting and implementing the 2002 border ruling. As such, he proposed a major policy shift by offering significant concessions such as withdrawing from Badme, resolving the no-war no-peace situation with Eritrea and ending the containment policy of his predecessors. 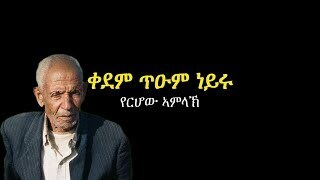 He made all these concessions with hopes PFDJ will accept his peace proposal. Overall, the reactions of Eritreans on social media were positive. Many Facebookers welcomed Abiy’s and his party’s positive move and hoped for a resolution of the Ethio-Eritrean conflict once for all. Who doesn’t want peace and who doesn’t want the border demarcated, right? Well, there is more to the story. Many of the news items prompted people to write their own analysis with opposing sentiments and those sentiments have frequently turned into heated arguments. People made jokes and cartoons about others and some others turned themselves into jokes. 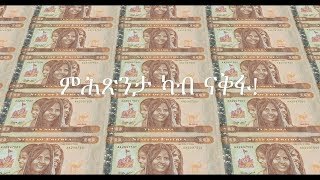 Two of the most ridiculous reactions were from people who were playing the “aybelnando” type of patriotic songs as if they have already marched into Badme and those who were bragging about the resoluteness of DIA as if his stubbornness did not turn the life of most Eritreans into a living hell. Concessions are usually made with the expectation that the other party will reciprocate, at least with a little note of appreciation. However, Isaias and his government were nowhere to be found. They completely ignored Abiy Ahmed’s overture, at least publicly. The absence of a government that is supposedly to be in a position to speak on behalf of Eritreans has prompt people to write more of their own analysis with opposing sentiments and of course those sentiments have turned into heated arguments. Soon after, several Ethiopians in the border towns started demonstrating some of whom were chanting “We are not Eritreans”. These events were followed by a statement from the TPLF which seemed to support the decision made by the EPRDF but with strings attached. As those demonstrations started to pick up momentum, the central committee of TPLF conducted a three day meeting and issued a statement that pointed out some errors made by its umbrella organization the EPRDF. While all these events and more were taking place in Ethiopia, the Eritrean social media was quickly picking up recent news item and those news items prompted Facebookers to write their own analysis with opposing sentiments and those sentiments have of course turned into heated arguments. Even when Ethiopia and Egypt were holding peaceful discussions about the river Nile which is considered the life blood of Egypt and the pride of Ethiopia, a very small town called Badme, somewhere on the border between Eritrea and Ethiopia and only expert cartographers can locate on the map remained a hot topic among Eritreans and Ethiopians. As the hope started to turn into skepticism, discussions on social media began to give the impression of pointlessness. Why? Perhaps because all of that loud noise was getting nowhere. Here we have Eritreans outpouring anger against one another over events that are taking place in Ethiopia and yet they are helpless when it comes to influencing the policies of their government, the government of Ethiopia and that of their host countries. 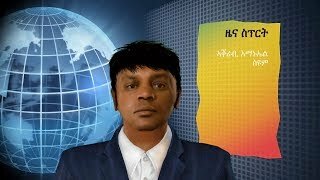 In addition, their voices have failed to reach the general Eritrean public because on one hand Eritreans inside the country are completely blocked off from accessing online information and on the other hand most Eritreans in diaspora have adopted a great distain for the current state of Eritrean politics to care. Here is what I mean by the aforementioned two statements. Let me start with the most obvious one. PFDJ doesn’t value people’s opinions and its decisions are never based on people’s sentiments towards any issue. Therefore, influencing PFDJ’s policy through public discussions on social media is impossible, as the saying goes “nzey semAka debri mimhlal eyu”. Second, misconception of regional dynamics, misinterpretation of the consequences of regional events, the relationship of current events to the type of change we seek, and our distrust of the Ethiopian government may have factored in when the tone of our messages become more accusatory of others than reconciliatory for country to find our opinions worth considering, just my guess. Third, our failures to effectively organize and build meaningful movements forced us to send inconsistent and conflicting messages confusing even more Eritreans. Under these circumstances, a good question to ask yourself is do our voices even matter to anyone? EPRDF’s peace proposal moves forward as is, PFDJ accepts it and the two regimes enter into a “scratch my back and I will scratch your back” type deal for many years to come. Given the stubbornness of PFDJ and the progressive nature of the newly selected PM of Ethiopia, this scenario is unlikely to happen. In addition, TPLF has already registered some reservations on this deal adding to the unlikelihood of a deal between the two regimes. From my perspective, a deal made without a genuine interest for peace would prolong the suffering of our people. Understanding this reality, many Eritreans especially in the justice seeking community seem to think this deal would put PFDJ in a corner with no excuse left to forcefully conscript young Eritreans. If things turned out in favor of their expectations, taking advantage of the small window of opportunity, Eritreans may revolt against PFDJ and change the government. However, the likelihood of this happening is hard to guess because a) the deal between Eritrean and Ethiopia has to move forward b) PFDJ has to honor its promise of demobilizing soldiers and c) Eritreans will be effectively organized to change the regime. EPRDF’s peace proposal moves forward as is, PFDJ accepts it and the two regimes get back to hostilities after a short-lived era of calmness. This is also unlikely scenario for reasons provided in scenario 1. However, if this becomes a reality it would be very catastrophic for Eritrea and Ethiopia. Given the level of distrust between the two regimes this may also turn out as the saying goes “klte gorHat HamuKushti snqom” (roughly translated as “two cons carry ash as their supplies” to describe how two cons try to outsmart one another) with one trying to overthrow the other. From my perspective, this is a disaster that must be avoided. EPRDF withdraws its peace proposal or PFDJ rejects it and both regimes accuse each other of some excuse and go back to hostilities. This is a likely scenario and the outcome would be catastrophic as described in scenario 2. EPRDF withdraws its peace proposal or PFDJ rejects it and both EPRDF and PFDJ go back to the status quo which is the no-war no-peace status. Given TPLF’s objections to the proposed implementation of the peace proposal and many Tigrayans demonstrating with their objections, it is highly likely for EPRDF to withdraw the peace proposal or make significant modifications to it. Nothing would change in this scenario. From my perspective, the advocacy for change should take the tone that change in the region can’t come from governments but change seeking activism. EPRDF’s peace proposal moves forward as is, PFDJ rejects it and both regimes go back the status quo. This is unlikely scenario since we already know the peace proposal is already facing some objections from within the party. The outcome would be status quo as described in scenario 4. 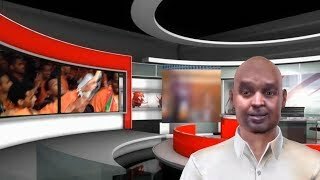 The above seven scenarios are not based on scientific research but my personal observations and opinions of people I usually hold political discussions with. The main goal is not to come up with an exhaustive list of scenarios but to show how we can tailor our messages and focus our efforts based on reality on the ground, the most likely scenario to happen and the goals we seek to achieve. My personal preference would be a scenario where there are democratic governments on both sides of the border handling issues and matters of common interest peacefully and genuinely. Till that day comes the focus should remain on the fight for change through organizing, networking and taking effective actions. With messages that bring the interests of Eritreans at the forefront and a bit of dedication the voices of reason will be heard loud and clear influencing the policies of countries in the region and ultimately bring change to Eritrea. Everything else we do is only a noise, not a voice.